This record collection is too good not to talk about! 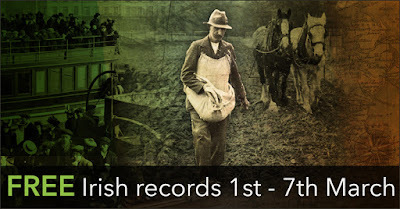 If you have Irish ancestry be sure out the new Irish Catholic Parish Registers from FindMyPast. They're FREE! And they're going to stay that way! In addition, to celebrate the release of this essential collection, Findmypast is also making its entire archive of over 110 million Irish records, the largest available anywhere online, FREE from 9am Tuesday 1st March to 9am on Tuesday 8th March. Leading family history site, Findmypast, has announced today the online release of over 10 million Irish Catholic Parish Registers as part of their ongoing commitment to making Irish family history easier and more accessible than ever before. Fully indexed for the first time, the registers form one of the most important record collections for Irish family history and are free to search forever. Spanning over 200 years of Ireland’s history from 1671-1900, the Irish Catholic Parish Registers contain over 40 million names from over 1,000 parishes and cover 97% of the entire island of Ireland, both Northern Ireland and the Irish Republic. This is the first time that National Library of Ireland’s collection of Irish Catholic Registers has been fully indexed with images to the original documents linked online. The records can now be searched by name, year and place, allowing relatives and historians the opportunity to make all important links between generations with the baptism records and between families with the marriage registers. The indexing of these important documents also allows researchers to witness the devastating effects of the Great Famine (1845-1852) first hand. Using the records to examine baptism rates in pre and post Famine Ireland has revealed that the number of children baptised across the whole of Ireland dropped by more 50% in the decade that followed. Across all 32 counties, 2,408,694 baptisms were recorded from 1835-1844, while 1,109,062 baptisms were recorded between 1851 and 1860, a difference of more than 1,299,000 baptisms. The records also reveal the worst affected regions, with counties Limerick, Wexford, Roscommon and Kilkenny seeing the most dramatic drops in baptism rates. 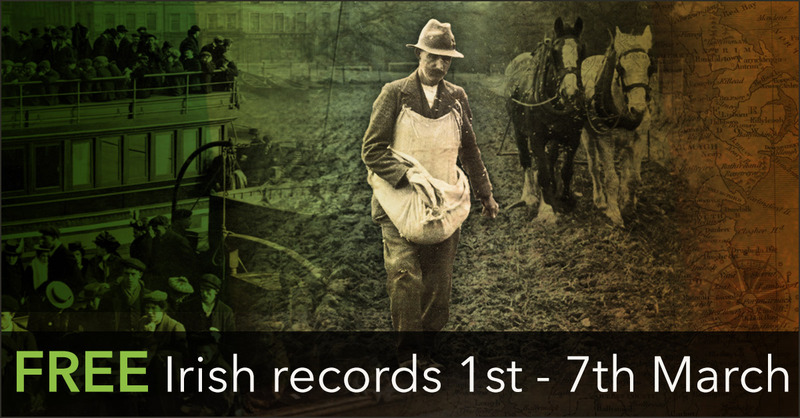 To celebrate the release of this essential collection, Findmypast is also making its entire archive of over 110 million Irish records, the largest available anywhere online, FREE from 9am Tuesday 1st March to 9am on Tuesday 8th March. Findmypast is home to the most comprehensive online collection of Irish family history records with millions of exclusive records, published in partnership with The National Archives of Ireland, The National Archives UK, and a host of other local, county and national archives. “This important publication marks a further step in Findmypast’s commitment to making Irish family history more accessible. 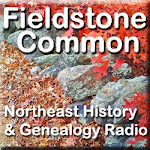 In less than 5 years, we have made over 110 million records (with 300 million names) available online for the first time. Irish research has been transformed from the select pursuit of the few, to a fun and relatively easy hobby for the many. The Irish story of hardship, migration and opportunity is a global story, and in partnership with the cultural institutions around the world we are bringing the fragments of their lives within reach”.